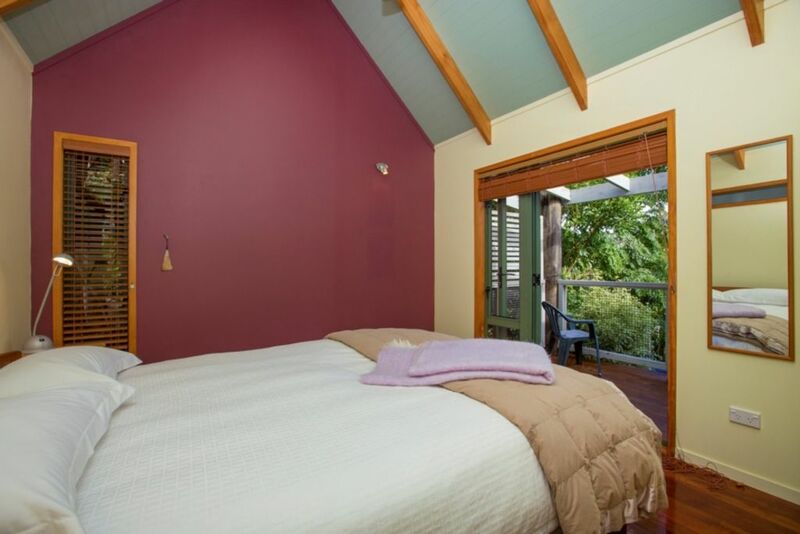 listing for Tui Cottage Matakana (# 25776) - a two bedroom cottage. We have enjoyed this area since the year 2000. As weekenders we watched the cottages being built and the grounds planted so when we retired and became permanent residents we purchased the cottages when they came onto the market. Our home is a 10 minute walk away so we are easily contactable but we tend to leave our guests to enjoy the cottage. The cottage living and bedroom decks look out onto the tranquil Mahurangi harbour. Fantail cottage was absolutely wonderful, had everthing we needed there to make our stay very comfortable & delightful. The only problem we had was that it was to hard to sleep as it was very hot inside at night .... but would of been Nice if there was aircondition there for the hot summer nights as we couldn’t leave the doors open due to the Mosquitoes at night .. Such an awesome place to relax and unwind. Such an awesome place to relax and unwind. So nice listening to the birds. Property has everything you need. Cannot recommend cottage and proprietor highly enough! Just an idyllic place to stay. Just an idyllic place to stay. Lovely, well-appointed facilities. The cottage is beautifully designed and presented. The cottage is beautifully designed and presented. Incredibly peaceful, and with magnificent views over the harbour. A gorgeous well kept cottage with beautiful views and having the spa bath as well was amazing. A gorgeous well kept cottage with beautiful views and having the spa bath as well was amazing. Definitely highly recommended and would happily stay there again. The cottage is completely self contained and private. You can stay "at home" and enjoy walks around the area or use your vehicle to enjoy any of the local attractions. When booked I send travel directions and notes of things to do in the area which may help you plan your break.